Over Christmas something quite extraordinary happened. E-learning became a global consumer phenomenon. Nintendo has been THE global success in games this year with learning product. 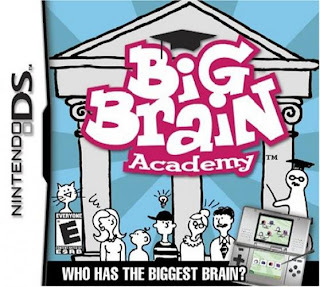 So how did Nintendo do what educators have been trying for eons to achieve (unsuccessfully)? Simple, they went back to some basic principles in the psychology of learning around motivation, goals and spaced practice. They realised that one-on-one content, that becomes addictive for the learner, played a little but often, is the way ahead in learning. In designing a game that appeals to all ages they’ve literally created a massive consumer-led e-learning market. Brain Traini ng stimulates your brain and helps train mental awareness and your long-term memory by being used for a few minutes each day, through a series of quick but challenging exercises designed to energise the brain. It is spot on in terms of the psychology of learning in terms of motivation and spaced practice. There's some pretty nifty literacy product with My Word (16,500 words and definitions using the Official Cambridge Dictionary). 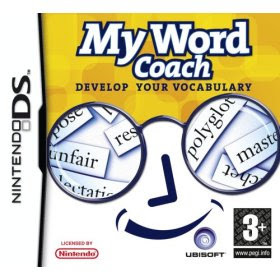 Puts you to the test on spelling and understanding adjusting to your improving vocabulary level. You can pit your literary wits against others in your family but, again its main advantage is this view that language needs that slow drip of practice to result in real improvement. Why every primary school doesn't use this stuff is beyond me. To rely on one teacher in a class of 2530 kids for real improvement in vocabulary is madness. 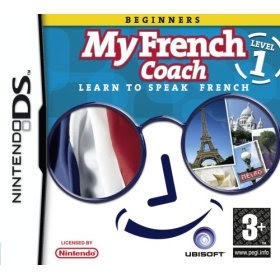 For French, German and Spanish there's e-learning with 10,000 words and 400 phrases, including pronunciation test using the built-in DS microphone. This is interesting because it can test your pronunciation - a real breakthrough. At the risk of boring you, how cool is this as a way of learning a language - gradual practice, games and the ability to speak and be understood. Compare this to the standard classroom French - 3o unmotivated kids mostly lost, who after a few years of classroom French couldn't order a baguette. A project in primary schools in Scotland has shown that these handheld games can significantly enhance learner performance in mental maths as well as having a positive impact on other aspects of classroom life. Three Primary 6 classes took part in a project to show how computer games can impact on and enhance learning in classrooms in a ‘practical, accessible and manageable way’ Watch the excellent video here. Brain Training had interesting origins. Most commentators though the DS console would fail. Atsushi Asada, a board member of Nintendo, wanted games to reach out to people of all ages. 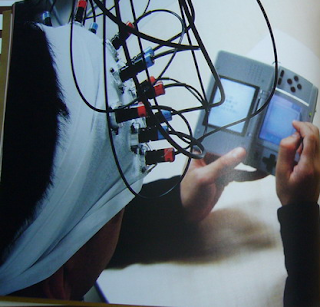 Nintendo had already developed handwriting and voice recognition for the DS and after meeting Professor Kawashima of <?xml:namespace prefix = st1 />Tokyo University’s Centre for Collaborative Research on Future Technology, and wiring himself up to measure the increased blood flow to his brain Asada set up a team of 9 people who completed the project in just 90 days. At first the retailers didn’t want anything to do with the product, but a clever sales campaign made them to play it for fifteen minutes; this did the trick. 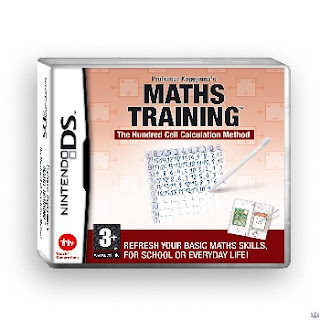 Professor Kawashima’s Maths Training title is about to be released. This has grids of problems and teh same games driven approach to learning - little and often. We can expect a massive interest in educational games and learning in the coming years. 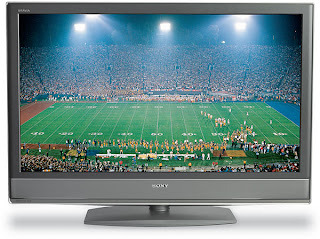 Others are playing around in the market, for example, Buzz for the Playstation 2. I’ve been involved with a company called Caspian Learning here in the UK who are unique in having a 3D ‘games and learning’ engine that allows such games to be developed quickly. We’re working on a raft of games in learning projects for education and training (corporates and government departments). You really do get that 'buzz' in e-learning when you're in these games, in a way that the traditional flat e-learning doesn't often deliver. I have absolutely no doubt about this being a huge boost for learning and e-learning over the next few years. Worldwide Nintendo DS has sold 64.79 million units, and the Wii 20.13 million. In the UK, Nintendo DS was the best selling hardware of any kind (home console or handheld) in 2007 and now has a UK installed base of over five million units. The Wii was has an installed base of over 2 million units, surpassing the installed base of Microsoft’s Xbox 360. 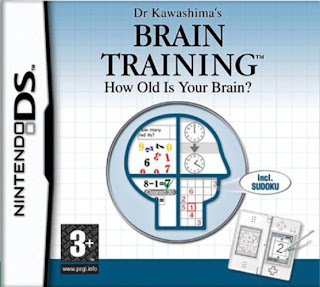 Combined sales of both of Nintendo’s Dr. Kawashima Brain Training titles in the UK have now passed two and a half million units and were the top two selling software titles of 2007. Professor Tara Brabazon (Media Studies! ), at my local University of Brighton, has banned the use of Google and Wikipedia by her students. This is utterly stupid and banal. I assume she hasn’t banned them from her website with links to Amazon to buy her books (including the academic masterpiece ‘Ladies Who Lunge’ – read the extract and weep). Incidentally, Tara seems to have made that classic cut-and-paste error in her own online piece on Google; repeating paragraphs twice! Academics like Brazabon have a cheek bleating on about plagiarism. If her students submit banal, cut-and-paste essays, she should be the person we blame. Tens of thousands of pounds for a University degree and we all we get are academics who inspire this kind of reaction from their students! She needs to think more about educating her students than banning the media of the age. The easy and efficient access to knowledge is a good thing, and quite separate from how things are learnt. It’s not the medium that’s at fault, it’s how that content is mediated by students and their teachers. These are two entirely different things. Well constructed, exemplar essays are precisely what a student needs as course material. That’s why they pay sites like UKessays.com. If academics got to know their students better and used on-going formative feedback as part of their jobs, then the lazy ‘set and submit’ essay model wouldn’t allow or encourage plagiarism on any scale. Ask students to submit an outline, then a short form essay and finally a full blown piece of work. Get them to blog. Speak to them. Don’t just set the task and mark the results. That’s not teaching, it’s simply assessment, and bad assessment at that. What’s happening here is simply the old guard not understanding how newer forms of knowledge dissemination work. Has this academic banned her researchers or lecturers from using Google? I doubt it. Students are smart and are simply reacting to a tired old system. The customers are just puzzled and tired of the old higher education model (I hesitate to describe it as pedagogy). It’s a wonder that students learn at all with such little face-to-face teaching – three dull lectures a week, usually by researchers with poor presentation skills and a deep desire to avoid teaching. They are literally stuck in the rut of this medieval mode of teaching. If they were any good they’d at least record the stuff for review by students. They don’t, of course, because it’s often pitifully bad. See my previous post on lectures. Inadequate guidance is the norm in higher education courses, that’s why students clamour for past papers – it’s often the only way of finding out what you are expected to cover in the course. Most lecturers don’t understand even the basics in the psychology of learning and need for clear structure, formative feedback and support. Then there’s little or no adequate course material. Little is prepared in any structured fashion for students. They are literally abandoned with a library card and a reading list. These reading lists are often idiosyncratic so it would be much better to let the student do the research BEFORE having these fixed, recommended texts. This has been exposed in institutions with VLEs, where the published guidance for courses is woeful. A reading list is not a course! Differentiate between search and research through the use of citations. Google and Wikipedia have tons of citations, and when there’s controversy, there’s the ‘history’ and ‘discussion’ tabs. Teach students how to do research and give plenty of support on constructing the piece of submitted work. Remember that the web contains hundreds of thousands of texts, textbooks and books, many which are now out of print and not found in individual University libraries. They are quick to access, allow text search and save time and money. In any case it’s rather easy to catch this sort of plagiarism by running the content through a check engine. If she had checked she would have seen that the University of Brighton is registered with the JISC Plagiarism Service and Turnitin. Is the Professor just too lazy to use them? This is the real world. Google, Wikipedia and the web are not going away. They’ll be around long after these luddites have retired. I suggest we simply accelerate their exit from the system. What is it with training magazines? I used to ditch tons of them, still in their plastic wrapping, unopened and unread, into the rubbish. Why is this? Last year I got a call from the Training Journal. They wanted to use something I had written on my blog – ‘no problem’ I said. But there was a problem. They could only publish it a letter! I wasn’t happy as I have never sent a letter to the Training Journal, or any other training magazine and a ‘letter’ is not a ‘blog post’. They can’t cope with anything beyond their 19th century format. And why are they so dull? 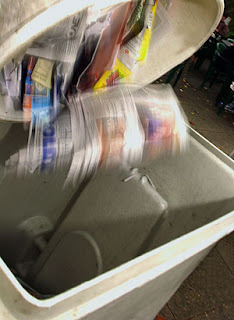 First they rely on advertising for revenue, and press releases for content. This means avoiding controversy and padding out issues with lots of flannel. You can't bite the hand tat feeds you, so you have to flatter your audience and never criticise anything or anybody. The problem with the advertising modeal is that the circulation figures include all of those still sealed, dumped, copies. Their conservatism means there’s nothing that actually plays any intelligent and critical role in the market. They reinforce old models and contribute to holding the market back. Blogs have filled this vacuum. They are much more useful, informative, interesting, interactive, accessible, controversial and readable than any of the magazines. Yet there’s no cross-over. They don’t report on or get the bloggers involved. The web, in general, has become a much more exciting source for information on learning and training. Facebook – a time waster? Youngsters have some neat TXT acronyms on messenger for intrusive parental behaviour - POS and POMB (Parents Over Shoulder & Parents On My Back). As HR departments fall over themselves to ban Facebook, it begs the question as to whether they should ban it or build on it in organisations. It’s a little sad that supposedly, people-friendly HR departments are now seen as the social-police. But they may have a point which is the possible drain on productivity. Recruitment – using networks to find and assess candidates is becoming common. Induction – what better way to familiarise new starters than real-people social networking across the whole organisation. Optimal operational networking –optimal teams/networks in an organisation are rarely the people you sit beside. Social networking widens and optimises the network, especially in multi-site or international organisations. Training – using such sites to distribute knowledge and viral learning seems sensible. Use what people use, not what the IT department prescribe. Home workers – reduces isolation and increases teamwork. Happy employees – social networking is successful as it makes people feel valued and part of a social community. Happy employees are more productive employees. Links with people outside the organisation – useful in terms of contacts, sales, client relationships, finding suppliers and so on. There’s a midday spike on the internet as social networkers, news hounds, gamers and ‘video snackers’ chillout from their daily grind. So the productivity slump is, I suspect, a mirage. Giving a talk on this and other social networking issues - legal problems etc at Learning Technologies on Thursday 30 Jan at 11.30. After all of that fuss what did ‘Blended Learning’ do for the world? It had the promise to shake the training world out of its ‘classroom-obsessed’ straightjacket into a fully developed, new paradigm for training. This needed research, evidence-based models and an analytic approach to developing and designing blended learning. First, it got muddled by metaphor. Blended learning failed when it got bogged down by banal metaphors. I've heard them all - blended cocktails, meals, even alloys. Within the ‘food metaphor’ mob we got courses, recipes, buffet learning, tapas learning, fast food versus gourmet. My own favourite is ‘kebab learning’ - a series of small bites, repeated in a spaced practice pattern for reinforcement into long-term learning memory, held together with a solid spine of consistent learning content and objectives. Only kidding of course, but that's the problem with metaphoric blended learning. Who's to say that your metaphor is any better than mine? I even had some fool at the Learning Technologies exhibition come up to me with a 'fruit blender' trying to explain the concept in terms of a fruit smoothie! Blended learning needs careful thought and analysis, the consideration of the very many methods of learning delivery, sensitivity to context and culture and a matching to resources and budget. It also needs to include scalability, updatability and several other variables. All this talk of meals and metaphors has been going on for several years. What it led were primitive, indigestible (sic) 'classroom and e-learning' mixes. It never got beyond vague 'velcro' models, where bits and bobs were stuck together (now that's a metaphor). Second, blended learning books turned out the very opposite of Blended Learning theory, namely Blended TEACHING. Attempts at defining, describing and prescribing blended learning were crude, involving the usual suspects (classroom plus e-learning). It merely regurgitated existing 'teaching' methods, usually around some even vaguer concep like 'learning styles'. Note how vagaue concepts reinforce each other in training. When it did get theoretical it went wildly overboard, with the ridiculous ramblings of the Lego Brick brigade (Hodgins, Masie etc), espousing the virtues of reusable learning objects. Let me put forward my own food metaphor – blended baloney. What do you get when you blend things in a mixer without due care and attention to needs, taste and palette? What we got was baloney (dull, tasteless sausage meat). 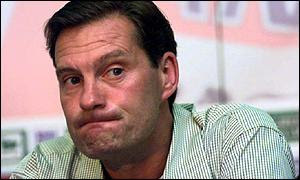 Founder of ‘The Tinkering School’, Gever Tulley regrets the over-zealous child safety regulations e.g. warnings on coffee cups telling you that coffee is hot. As the boundaries of the safety zone get larger we increasingly cut out exposure to risk. 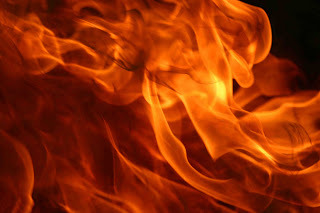 Play with fire – basic and necessary – intake, combustion and exhaust – a laboratory. Own a pocket knife – powerful and empowering tool – extended sense of self – keep it sharp, cut away from body, never force it. Throw a spear – our brains are wired to throw things – visual acuity, 3D understanding – analytical and physical skills. Deconstruct appliances – don’t throw out the dishwasher – take it apart first. Figure out what the parts do and how it works. Drive a car. Let them drive with you in control. Find a big empty space. Fun for the whole family!